What’s with the bag, anyway? Except for one thing: it’s not just flashy cover. Inside that colorful pouch — which mirrors the same beautiful design of the hammock itself — is exactly what you hoped for. Comfort, style, strength. According to a number of sources, hammocks originated in the Amazon region of South America — and Brazilians use them for rest, relaxation and even, as children, play. They replace beds in many households in Brazil, and are easy to store and transport. Which brings us the the notion of the hammock you hold in your hands, tucked neatly into a bag. See, the other thing about Brazil is that people take their hammocks places. They take them on trips. They take them when they visit friends and families. They take them when they head to a beach. The hammock isn’t just useful, it’s part of their culture. It’s part of who they are. Byer of Maine hammocks from Amazonas aren’t just “Brazilian style” because they’re woven by hand from recycled threads in Brazil or because they aren’t made of rope hanging from a spreader bar. They’re authentically Brazilian in form and function both, reflective of the vibrant culture we associate with life in Brazil. If you use one of our hammocks, you know well how comfortable they are. And you likely also know about the sleep benefits of hammocks. 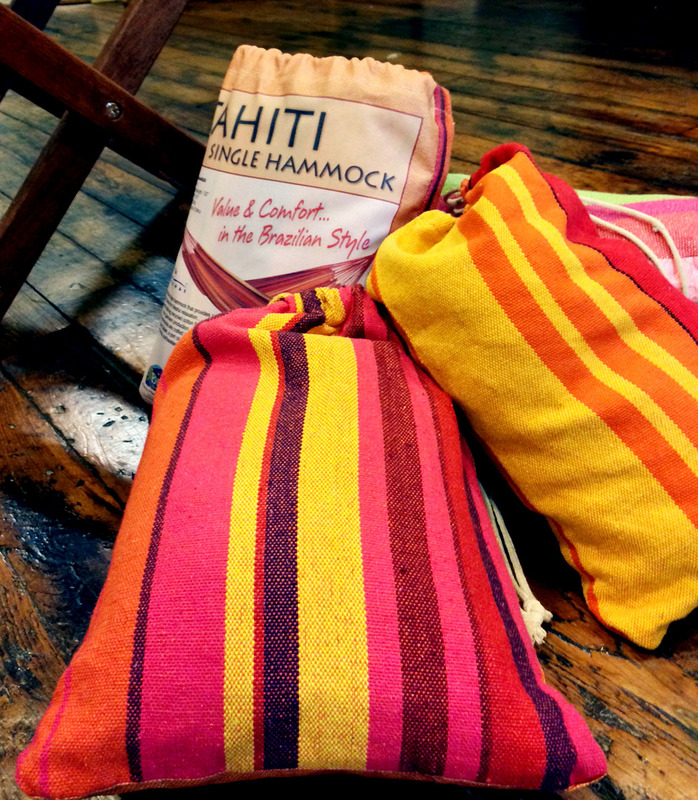 What you may not know is that the bag our hammocks arrive in are more than just attractive packaging. They’re essential to the hammock. And they’re essential to the hammock life. Have hammock, have bag, will travel. This entry was posted in Hammocks by beckybyer. Bookmark the permalink.